Bus Charter Service Zurich provides bus rental solutions for private and corporate clients. Rent our business bus or luxury coach and enjoy the ride to your destination in Zurich. As the largest city in Switzerland, Zurich is an enjoyable place to visit. For business or pleasure, countless visitors come there each year. Though there are many options for a bus charter Zurich, it is critical to pick the right coach. Fortunately, we have the right coach rental for any occasion. We can help visitors with any type of trip. 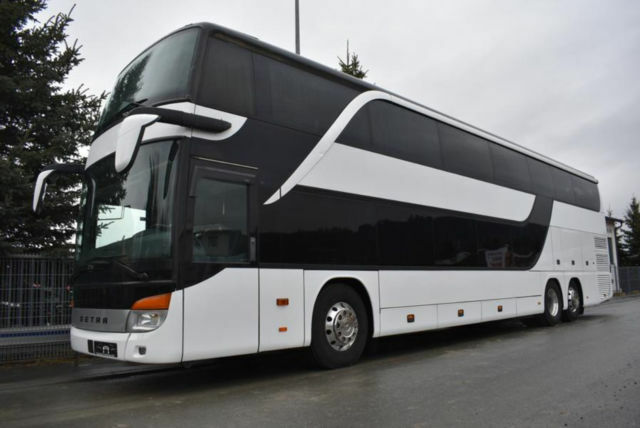 For businesses, our coach rental services are ideal for business road shows or exhilarating company outings. On the personal side, many guests have used our coach rentals to explore Zurich's distinctive cultural flair or Switzerland's beautiful countryside. Our services can be easily customized to any traveling need, helping guests get anywhere throughout the city. In order to best accommodate clients, we offer a range of buses. For smaller parties, our eight-seat coaches are extremely popular. However, for larger gatherings, we also have buses that can seat up to 81. Our coaches also come with amenities such as refrigerators, DVD players and monitors. There are also restrooms and washing facilities to make traveling extra convenient. Drivers are all thoroughly skilled and speak English to better interact with foreign guests. For security, our dispatchers are all centrally located, giving orders to drivers directly by phone. Therefore, for your next trip to Zurich, be sure to remember a coach rental and enjoy the city as it should be enjoyed.